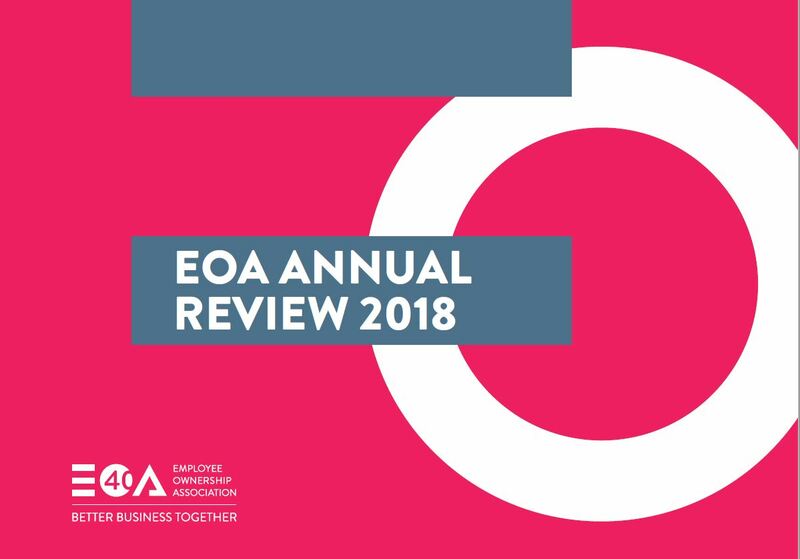 Highlights and impacts of the work of the EOA working with its members and stakeholders in 2018. 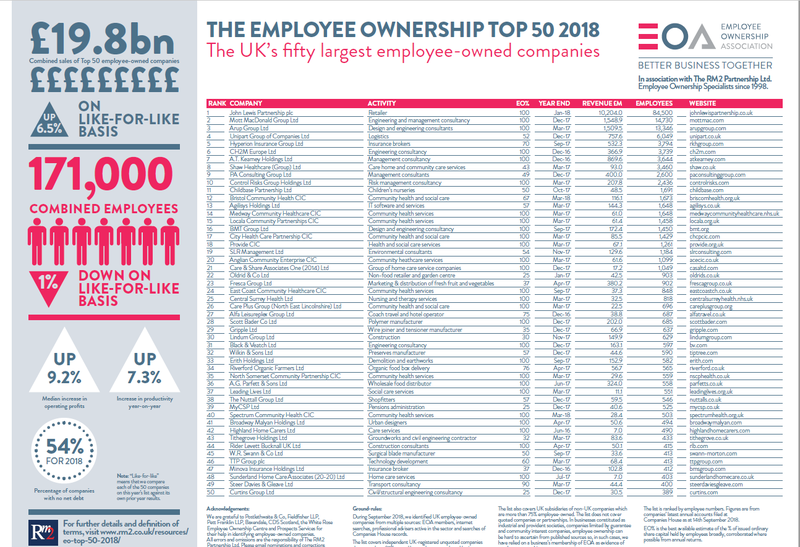 In association with The RM2 Partnership Ltd, The Employee Ownership Top 50 2018 illustrates the performance of the largest 50 employee owned companies in the UK. The evidence and recommendations of the Ownership Effect Inquiry – a panel of UK business leaders and industry experts, which heard and examined evidence from 100+ employee owned businesses and advisors, concluded there is a significant and valuable Ownership Dividend to be gained from more employee ownership in the UK economy. 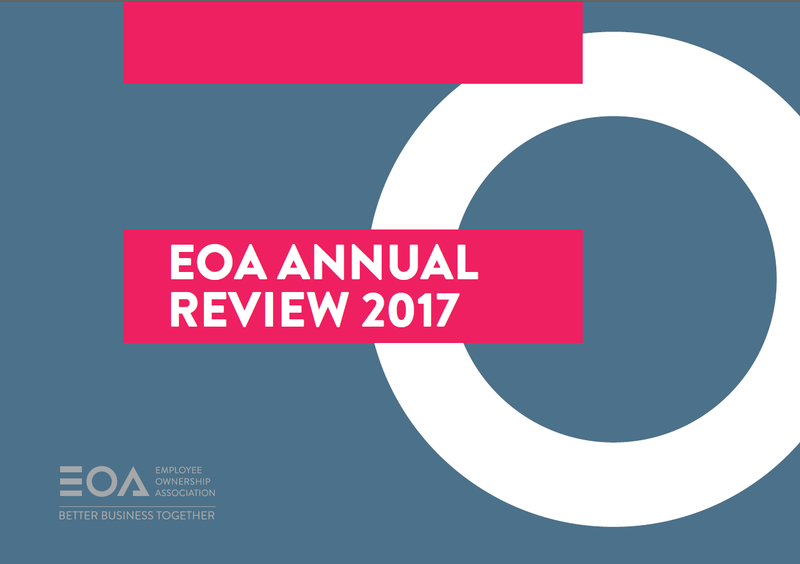 Highlights and impacts of the work of the EOA working with its members and stakeholders in 2017. 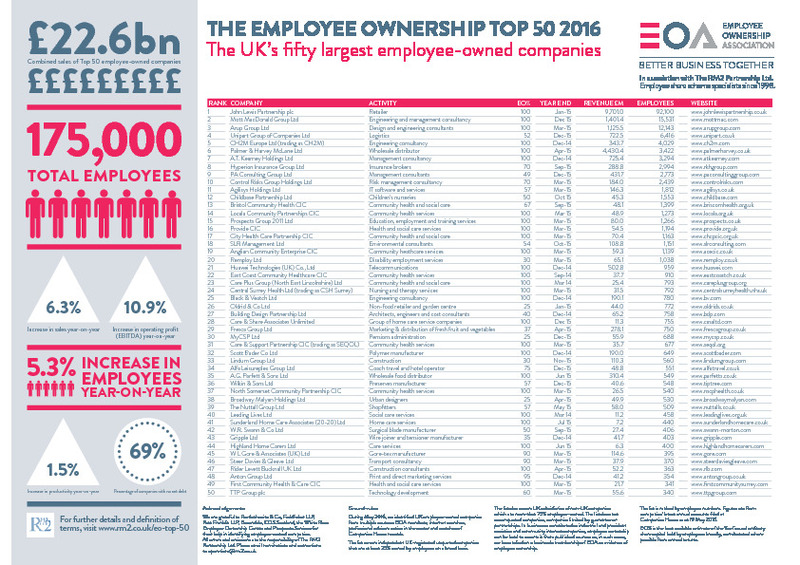 In association with The RM2 Partnership Ltd, The Employee Ownership Top 50 2017 illustrates the performance of the largest 50 employee owned companies in the UK. 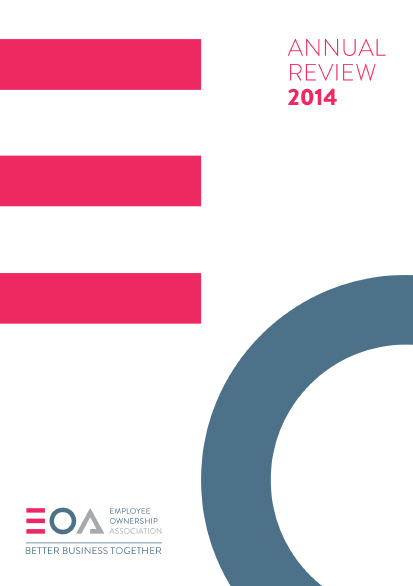 In 2016 the EOA continued to pursue its purpose of developing the size and impact of the UK employee ownership economy. 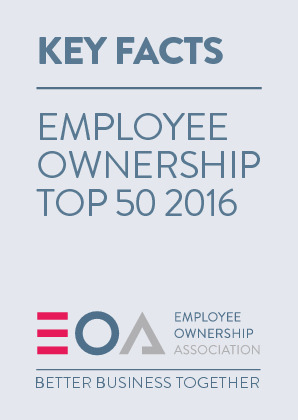 In association with The RM2 Partnership Ltd, The Employee Ownership Top 50 2016 illustrates the performance of the largest 50 employee owned companies in the UK. 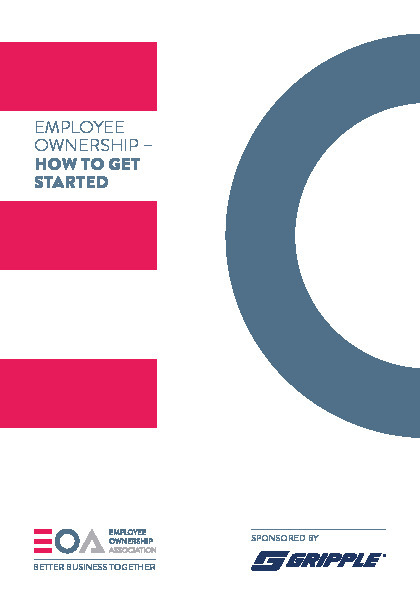 Employee Ownership: How to Get Started is a valuable guide for businesses interested in becoming employee owned. 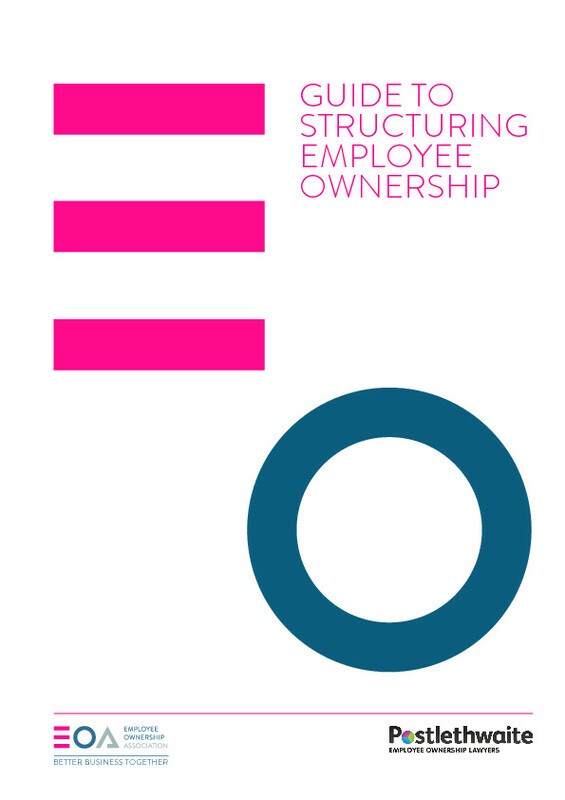 The guide highlights the three most common models of employee ownership, identifying the key features of each. It also looks at public service spin outs, governance and funding. 2015 was the most successful year ever for employee ownership in the UK and the EOA was at the heart of every significant development. 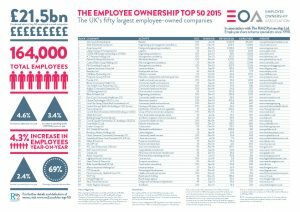 In association with The RM2 Partnership Ltd, The Employee Ownership Top 50 2015 illustrates the performance of the largest 50 employee owned companies in the UK. 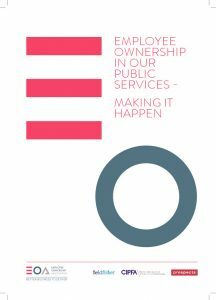 If you have begun to think about creating an employee owned public service spin out this guide is for you. Employee ownership is the model in which the share capital of a business is partly or entirely owned by its workforce. 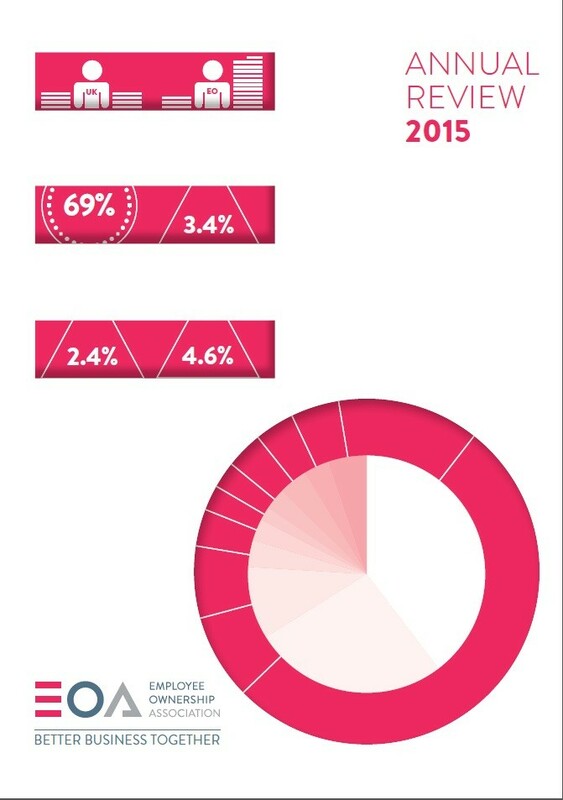 It is the fastest growing form of business ownership in the UK. 2014 was the most successful year ever for employee ownership in the UK and the EOA was at the heart of every significant development. 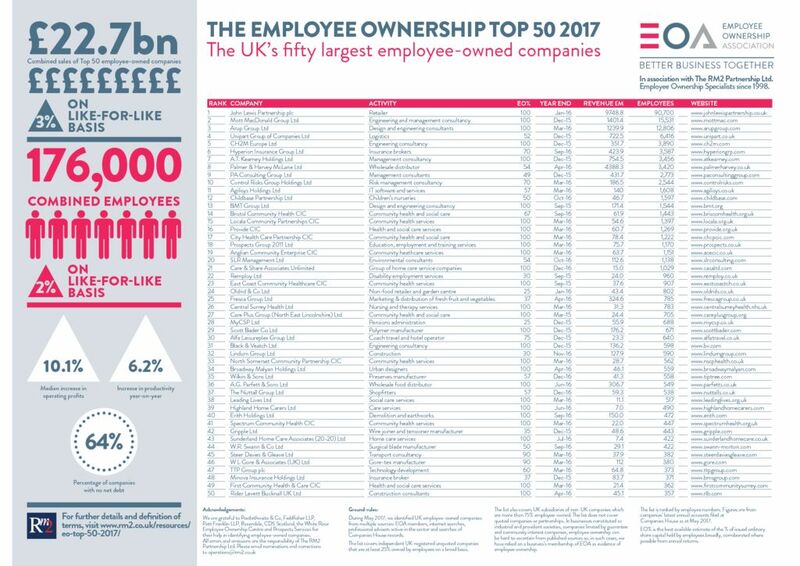 Compiled by Capital Strategies, The Employee Ownership Top 50 2014 illustrates the performance of the largest 50 employee owned companies in the UK. This new report calls for a threefold increase in the value of employee owned firms to UK GDP by 2020 and makes the business case for more firms opting for employee ownership. New research published by the Employee Ownership Association and sponsored by the John Lewis Partnership shows that staff working in employee owned companies are happier, healthier and more secure than workers without a stake in their company. In a new paper for the Employee Ownership Association, William Davies (Academic Director at the Centre for Mutual and Employee-Owned Business, Oxford) urges the government to consider new policies to facilitate the growth of the £30 billion employee-owned sector. Launched at a reception at Newcastle's Centre for Life, this EOA paper by Dave Wheatcroft is the story of award winning employee owned Sunderland Home Care Associates and how founder Margaret Elliott and co-owners have built a family of enterprises lifting care standards in the North of England. 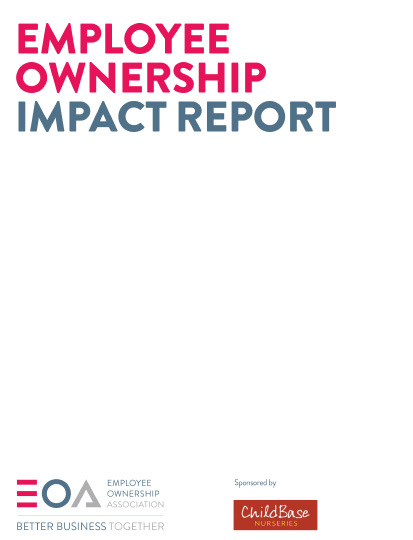 This report advocates a switch from a national approach to the promotion of employee ownership to a local one, with a range of local stakeholders taking on roles to raise the profile of employee ownership. A paper about how a dynamic combination of co-ownership and co-creation [‘CoCo’] helps employee owned businesses create exceptional performance while enhancing employee wellbeing. Launched at a Parliamentary reception with Environment Secretary David Miliband MP, the paper includes policy proposals designed to help Government and others harness the CoCo effect to benefit business and the economy. Jointly authored paper submitted to the DTI review of business transfer by the Employee Ownership Association, Co-operatives UK and the Delivering Employee Ownership network. Many private companies find that employee trusts are very suitable structures for sustaining employee ownership. This EOA report explains why. It argues that the tax treatment of employee trusts should be significantly improved, and recommends that Share Incentive Plan trusts should be permitted to retain shares for the benefit of employees indefinitely, rather than be required to distribute shares to individual employees, which can create complexity and cause instability in the ownership structure. ‘From Colleagues to Owners’ is an Employee Ownership Association paper on how and why companies make the transition to employee ownership. 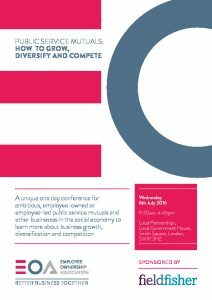 Based on ten case studies, the report explains what motivated a highly diverse mix of businesses to consider employee ownership as a succession or start up route. Based on a survey of co-owned businesses, this report reveals how these businesses view the advantages and disadvantages of employee ownership; the key problems they face and what would help resolve them; main sources of advice and information; and how customers react to co-ownership. Written by internationally acclaimed business writer Charlie Leadbeater, Innovation Included makes the case for more public services to be provided by co-owned companies. Sponsored by eaga plc, the paper claims that employee owned companies offer public services a level of employee commitment and innovation that can transform the experience of service users. The author calls for a political initiative to build capacity, demand and awareness for more co-owned public service provision. 'Making employee ownership work’ is a new guide from the Employee Ownership Association and co-ownership advisers the Baxi Partnership, based on a survey of 25 EOA member companies including John Lewis, Unipart, Arup and Mott MacDonald. Designed for easy reference, the guide compares company practice under five headings: employee engagement, reward, governance, employee ownership culture, and social responsibility. 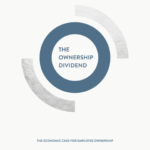 Launched at a reception with the Chancellor of the Exchequer, Gordon Brown, this report summarises the case for employee ownership and explains the mechanics of forming an employee owned company and employee buy-out. Includes a special survey by the Director of Birmingham University Business School of research evidence on the impact of co-ownership on business performance. The All Party Parliamentary Group on employee ownership inquiry into employee ownership in the public sector. The inquiry took evidence from employee owned organizations, academics, union officials, industry experts and politicians and included an examination of models, tax, terms and conditions and key challenges. An EOA report by research specialists Matrix Evidence and sponsored by the John Lewis Partnership and health company Circle. The report is a rigorous study of the available international evidence into how companies with significant employee ownership perform, on a range of key business indicators. On the basis of their study, the authors conclude that wider employee ownership could bring economic and social benefits in the UK’s private and public sectors.